Akasol is a developer and producer of high performance battery systems specialized in the use of electric buses, commercial and industrial, marine and rail vehicles, as well as storage applications. After almost 20 years of research and development in the environment of the Technical University of Darmstadt the former non-profit organisation Akasol was founded as a limited liability company in the year 2008 in the city of Darmstadt, Germany. From the beginning, Akasol’s declared goals have been cost reduction of battery systems and contribution to the further expansion of e-mobility. The compact lithium-ion battery modules are primarily produced for manufacturers of hybrid and electric buses and commercial vehicles. Since 2017, Akasol operates what it believes to be the largest European plant for serial production of battery systems for electric buses and commercial vehicles. 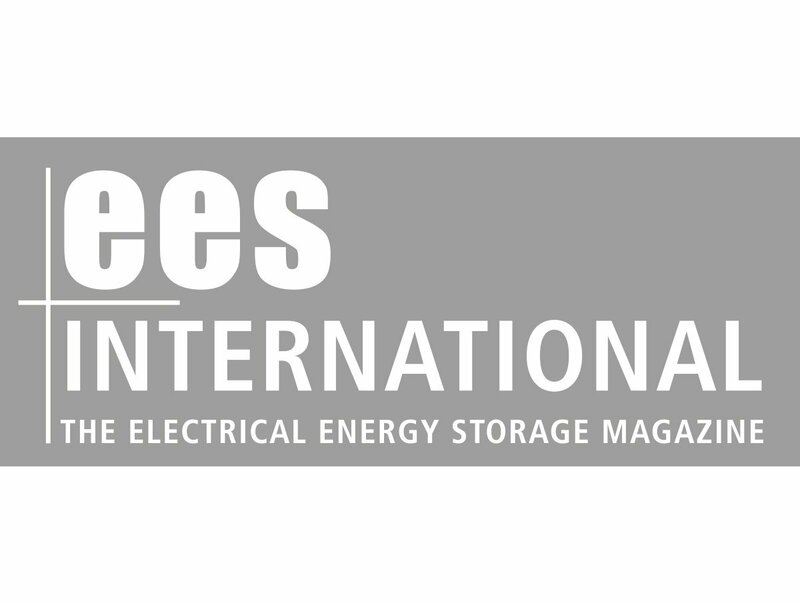 ees International interviewed Sven Schulz about the expertise and the further plans of the company. ees International: Last year, Europe’s largest battery system factory for commercial mobility was opened by Akasol. Did the production start smoothly? What are the next steps planned for this production site? Yes, production has started without any issues. In Langen, we expect to be in a position to manufacture batteries for up to 1,500 electric and hybrid buses or up to 6,000 commercial vehicles per year, depending on battery size once the production is fully ramped up. Relative to the current number of electric buses, we believe that is a very high number. However, we are prepared to grasp the fast growth in this market. By 2020 we plan to manufacture battery systems for up to 3,000 electric and hybrid buses or up to 12,000 commercial vehicles per year in Langen, with further expansion elsewhere. It is forecast by analysts that the European market for hybrid and electric buses will grow by more than 35% yearly. This is supported by strong factors including battery technology gains, regulators strong push and environmental considerations. In addition, many fleet operators have run successful tests, so now large orders are expected to be placed. For instance, Wiesbaden wants to convert its fleet of 220 buses. And from 2020, large European cities such as Paris, London and Hamburg plan to order electric buses exclusively. ees International: One of Akasol’s businesses is the battery production for marine applications. What are the special demands in terms of battery technology and design for yachts and boats? Akasol has worked with the Roll-Royce subsidiary MTU and the Norwegian company ZEM to develop a special battery system for the use in marine environments. It can be combined in what we like to call a “Lego-like” manner. This makes it highly suitable for small shipping spaces with high demands on performance. At BOOT 2018 we announced our partnership with the Italian company Diesel Center SpA. Through this partnership we supply Italian yacht manufacturers. Akasol’s battery systems are an important part of a hybrid drive system with a performance of 300 kilowatts, which Diesel Center uses in yachts by Sanlorenzo for example. What I’ve said before applies here too: modular structure and high performance capacity while ensuring compact design are in our view the crucial factors that allow for a conversion to a more environmentally friendly system without having to enlarge engineering rooms. ees International: Another important pillar of your production is the manufacturing of batteries for the use in agricultural and other commercial vehicles. What makes your batteries especially suitable for this purpose? Clients in these sectors are currently discovering the advantages of electric vehicles, for instance diminished noise and pollution when building in city centers or tunnels. Even though the market for non-commercial utility vehicles lags behind that for electric and hybrid buses, we have been engaged in many discussions with interested parties. Clients in these sectors naturally place high demand on reliability while at the same time requiring high performing batteries. Thanks to our 30 years of engineering experience, our flexibility working with a variety of battery cell types and chemistries, and adapting to each client individually, we see us in a position to always offer the best possible solution. ees International: Akasol also conducts analysis and testing procedures for battery technology. What are the main challenges you are facing at the moment in developing the batteries of tomorrow? The challenge is to always find the best solution for each individual client. We are seeing lots of changes, and new solutions in battery research and development emerge frequently, so it is important to have a good overview and to maintain our flexibility. We test a large number of new cells in order not to miss any technological breakthroughs. It is crucial for our clients that we offer complete security of investment. For instance, since we use battery systems in buses that could also work with cells of a different type or different cell chemistry, we make it possible to convert to a different cell type at a later stage in case there are significant improvements in other cells. This is something that in our view notably distinguishes us from start-ups that focus on just one cell type. No one can predict the future and know exactly which solutions will prevail in five or ten years. That makes the flexibility and security of investment we offer our clients so significant. ees International: E-buses with Akasol batteries are on the roads in several German cities. From your point of view, how is the progression towards a cleaner mobility progressing in Europe? What needs to happen to push this development further? Electric buses are a primary driver of battery sector growth in electric mobility. The market grows incredibly fast. Europe supports the conversion to clean mobility in many ways. Progress and a realisation that new technology must be used are currently both quickly taking hold. Regarding electric buses, European manufacturers, to our knowledge, currently do not offer enough to meet fast-growing demand. At the end of this year, Daimler and Volvo, both of which are our clients, will introduce their series-produced electric buses to the market. These European manufacturers rely on quality and longer testing and development phases. That is the right approach, because it is the only way to avoid disappointments from electric bus technology which is still very new. ees International: Akasol will be one of the exhibitors on this year’s ees Europe, taking place from 20 – 22 June in Munich, Germany, in the frame of The Smarter E Europe. What benefits do you expect from your exhibition appearance? It is a very important event for us, because we expect to meet clients of commercial vehicles as well as of our brand neeo by Akasol. neeo by Akasol focuses on stationary battery systems for hotels, companies and private households.